Christmas is coming round again – and fast! There’s going to be a lot to prepare, to organise and take care of, but nothing will be more important or take more care, than the Christmas Dinner. We don’t know about you, but Christmas Dinner is the single best meal on our stomachs’ calendars, and with so much preparation and effort invested in it, it’s worth going the extra mile to make sure it’s amazing. Cleaning your oven before making Christmas Dinner is a great way to put the final polish on the food, make the preparation and cooking a little more enjoyable and give you a little more confidence in your kitchen if you’re entertaining guests on the big day. A sparkling clean oven is more efficient, creates less smoke and burning, allows the smell of your delicious dinner to waft out, filling the house with the mouth-watering scent of turkey and roast veg! It’s an investment that will pay itself back over and over as Christmas approaches – with a clean oven, the time you spend in the kitchen will be far less stressful and more relaxed, leading to a lovelier holiday experience all around. After all, with so much to prepare, you’ll spend plenty of time in the kitchen, and a lot of the preparation will be done in the oven – turkey, roast veg, Christmas pudding, gammon, roast potatoes – the oven will be very, very busy, so the time spent there should be made as relaxing as possible! A deep, professional oven clean is a rewarding task – but it’s a difficult and arduous job, too. Without the proper chemical cleaning agents and equipment, it could take a long time and involve a lot of effort on your part – and even then it might not be that effective! Premier Oven Clean can take the stress and work out of this chore by doing it for you, with speed, experience and professional equipment on our side, leaving you free to enjoy your Christmas preparation with a sparkling clean cooker to be proud of! Our cleaning services are quick and unobtrusive, and will save you huge amounts of time and stress, leaving you with one less arduous chore to do and more time to enjoy your holidays! At the end of the day, Christmas isn’t about scrubbing your oven for hours on end. It’s about relaxing, enjoying your time with your family, and having a good time! 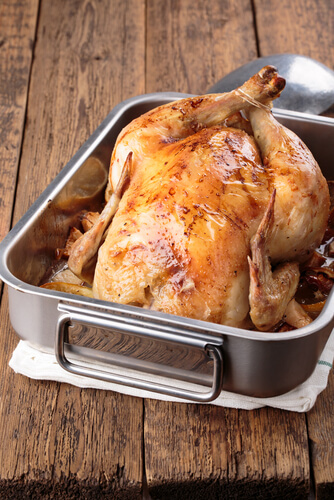 If you don’t fancy strenuously scraping at your oven for hours this Christmas, you can get in touch with us via this website to arrange a quick, easy oven cleaning, and get your cooker in tip-top shape for roasting the turkey!